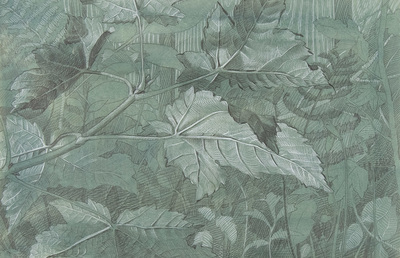 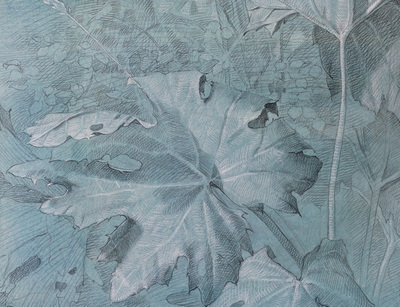 These watercolour and pencil drawings embody the spirit of the collage, what Max Ernst called “the meeting of two separate realities in a plane that is foreign to them both”. 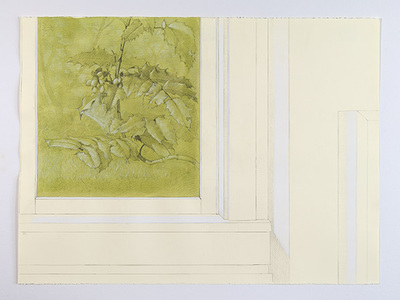 These images document interior spaces where the man-made environment and the natural landscape are brought together by that most pictorial of architectural elements: the window. 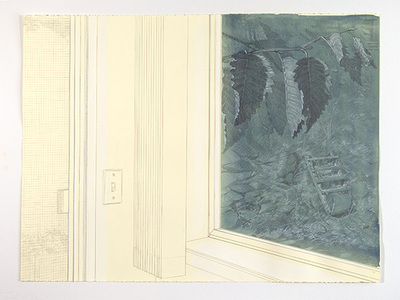 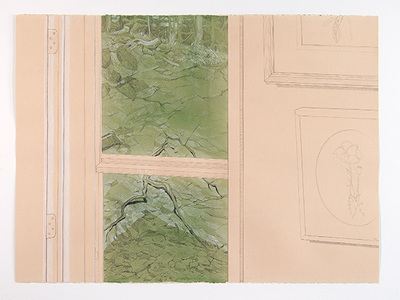 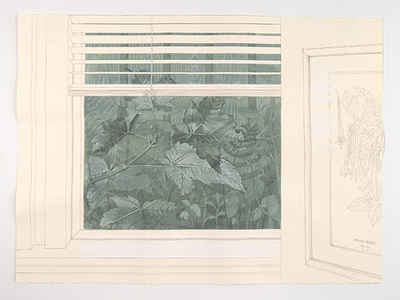 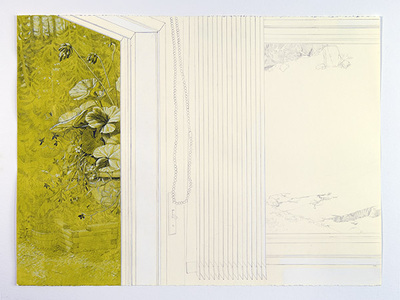 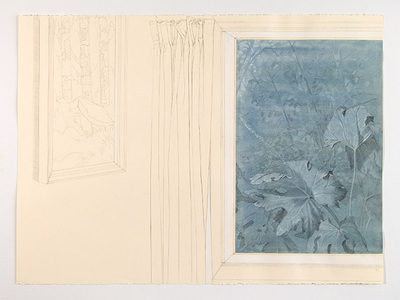 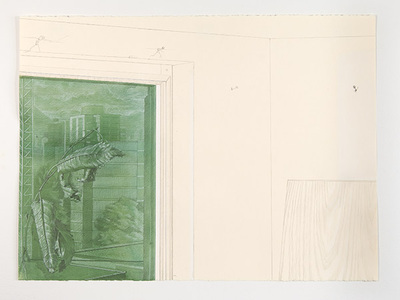 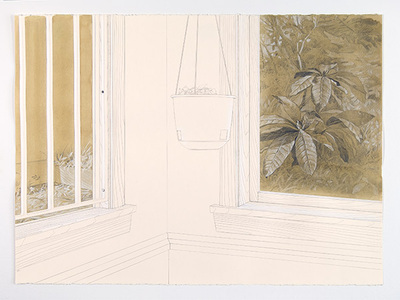 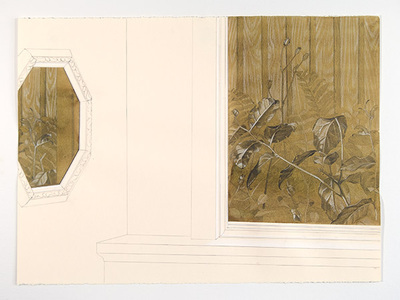 Interior and exterior views come together in the drawing to create a new object,“a plane foreign to them both”, ruled by its own logic and conventions. 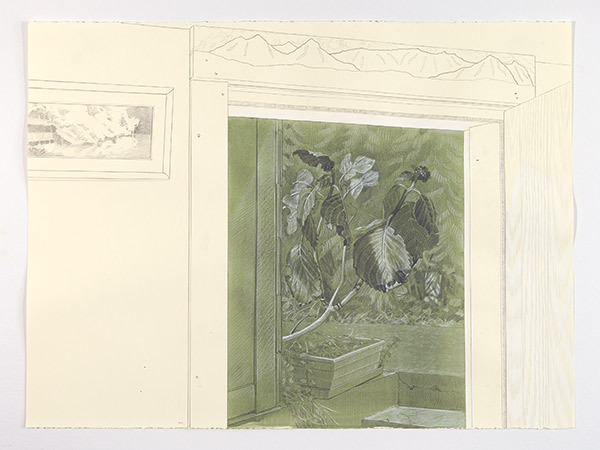 These are the interiors as they appeared, ordered and serene, punctuated by the picture revealed in the negative space of the window - a montage of natural growth and rational organization, urban and rustic, reduction and exuberance.